Davao City has the most unfortunate situation where it doesn’t have any sports complex at all like the ULTRA in Metro Manila and The Cebu Sports Coliseum in Cebu City. 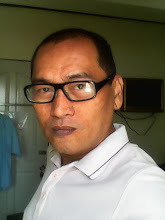 Visitors coming to Davao, especially first timers who job regularly will definitely ask about the best places for jogging in one of the safest cities not only in the Philippines but in the entire planet as well. People will discover that despite the absence of sports arenas where they can jog or perform physical fitness activities, they can still discover places where they can jog, walk, or stretch. Here are some suggestions if you want to do these physical activities when in Davao City. At the heart of the city is one of the most popular places for physical fitness activities. It used to be an outdoor sports complex called The PTA ground then, and has an 800 meter oval track. Jogging in this park is never a boring affair, in fact you might get distracted with the sights you will see and be tempted to behave as tourists instead of sweating it out. The park opens to the public at 5 A.M. which is quite late for fitness enthusiasts. Outside the park, you will find several stores and eateries where you can buy your after jogging needs and of course fill your stomach after physical fitness activities. There are also hotels where you can check-in so you are just nearby the area. 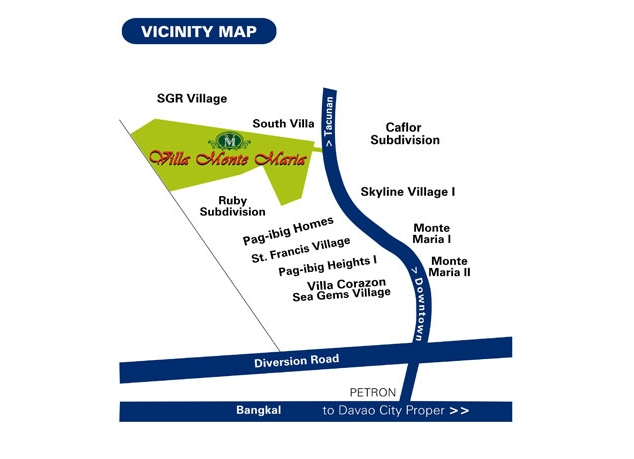 Shrine Hills is located around 4 kilometers from the city proper. 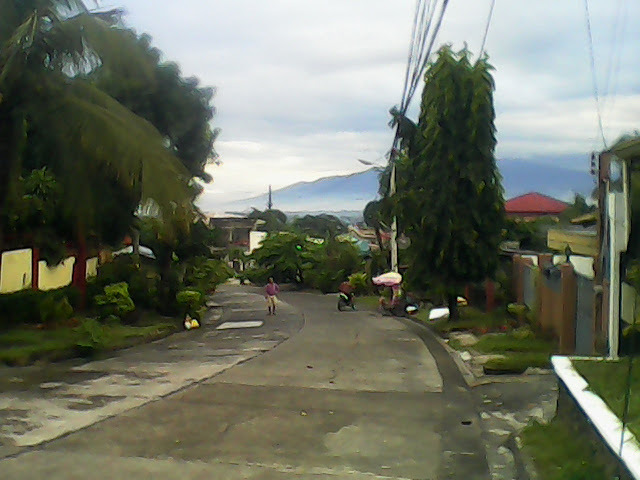 This is a good place to jog for moderate to expert joggers because of the rolling hills terrain. Because the road is slanted at around 40 degrees, joggers will really gasp for breath after several rounds of going up and down the hill. One of the reasons why this is a popular place to jog or perform physical fitness activities is that the place is quite serene and you can commune with nature, or pray and reflect in any of the praying stations at the Shrine of the Holy Infant of Jesus of Prague. You can finish your jogging activity by simply walking towards the promenade which offer a view of the majestic Mount Apo and Davao Gulf. You only have to bring your own food and drinks if you have a car as there no stores along the jogging route except if you go straight to the ABS-CBN area or down the GSIS subdivision streets. The place is not open until 8:00 AM; thus, it is quite late for you to perform your physical fitness activity like jogging. However, if you prefer to jog late and have plenty of time to do so anytime of the day, this place is highly suggested. 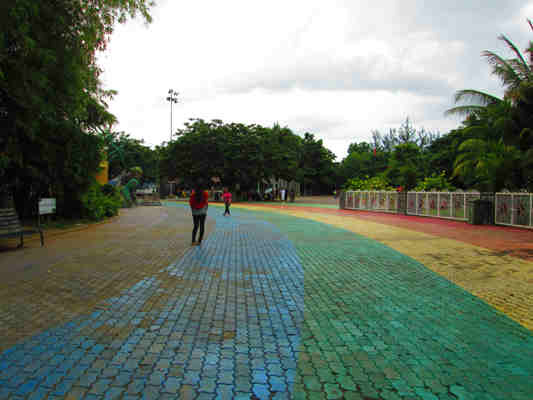 The entrance road leading to the crocodile park itself is the main jogging area. It is quite a short stretch but because it is paved well, you need not worry much about rough terrains. If you are still new into jogging, this is a good place to start. 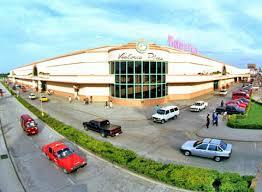 Located in Bajada, Davao City, Victoria Mall is the first huge shopping complex in the city. 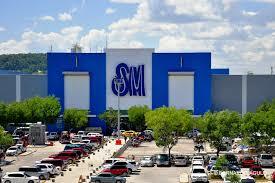 But right now, it has been overshadowed when Gaisano Malls and NCCC Mall expanded and SM Malls opened. But, the convenience that it offers when it comes to jogging or doing some physical fitness activities has never been robbed upon the entry of those malls. 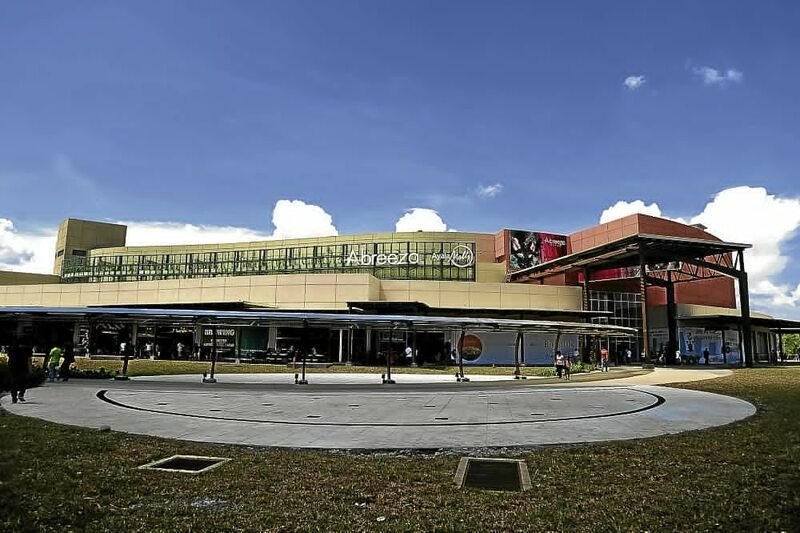 Usually, fitness enthusiasts perform their physical fitness activities around the parking area as the length of running around the mall is more or less equal to a standard oval field. In addition, joggers can extend their jogging activities up to the streets of Barrio Obrero where they can find some excellent food stalls and budget friendly at that. In the old days, Magsaysay Park had a sleazy reputation. Fortunately, as years went by, this park was able to erase that negative reputation. Probably because of the improvements done with it and of course it is now fenced, fending off people with sleazy character. 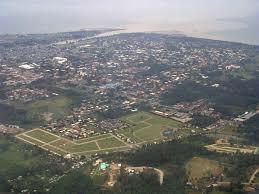 While it is smaller than People’s Park of Davao City, it has the sea breeze to boast of. You can always finish your jogging routine by simply going to the seawall and admire the vast expanse of Davao Gulf. You might also want to indulge eating durian or other fruits in season as there are fruit stands fronting the park just beside the perimeter fence. Here is another flat terrain where beginners can go. It is best to jog in here while the sun is not up yet as the place doesn’t have large shaded areas. The best thing in here is the serenity in mind that you will experience while you jog; you can do your own reflection while performing physical fitness activities too. You can traverse all the paved pathways by turning right always and can cover all the paths which is estimated to be equivalent to over 3 kilometers based on estimates. The convenient store inside the cemetery is not open until 9 AM; thus, you have to bring your own water. It is quite a windy affair when you jog in the morning here in SM Matina Car Park. This is due to the sea breeze coming in from Davao Gulf as the jogging place is just a few meters away from Times Beach; one of famous landmarks in Davao City during the pre-EDSA era. This is one of the safest places to jog as the Central 911 Office is just less than 1 kilometer away; hence, you feel safe jogging around as mobile patrols are sometimes stationed nearby; thus, discouraging criminal activities in the area. Situated 4 kilometers away from the downtown area is one of the oldest mass housing projects in Mindanao. The best route in this place is from the highway using the Virgo Street entrance up to the Pluto Street which is at the top of the hill. Then, you head to the right and once you reach the end, you can decide whether to go to Matina Shrine Hills or go back to where you entered by running downhill and just following the road. You will end up at a junction where Ascension of The Lord Parish is located. Just follow the road facing it so you end up in National Highway. Some of the best reasons to jog here is that it is safe, the roads are wide, and the rolling hills terrain is a huge come on especially if you are looking forward for more serious jogging experience. This is another safe area to jog and the experience is like jogging around an oval field as Abreeza Mall is constructed like a dome. The total length of the oval road from the entrance facing EMCOR and around the mall is over 1 kilometer per estimate. There are two ways to finish your jogging or any physical fitness activities here. Either take a rest by simply walking towards Barrio Obrero where you can find several small eateries where you can satisfy your hunger with home made cooking or walk towards Victoria Mall where 24-hour Jollibee and McDonald's stores are waiting for you. Abreeza will not be open until 10 A.M; too long for you to wait if you start very early with your jogging routine. This is an excellent place to jog anytime of the day. There are lots of huge trees inside the cemetery and one can take a rest in any one of them when jogging early morning after dawn. In fact, there are those who prefer to run in here during noontime when one decided to pay a visit to one of their dead families or relatives. There is a river bend which you can admire and commune with nature after doing some strenuous physical activities. Since there are no stores inside or outside of the park, you have to bring your own amenities like water. It is a test on strength and stamina when you opt to run in this place. It is around 6 kilometers away from the downtown area and from the National Highway. It is a 3-kilometer stretch and uphill at that. Many joggers like this place because of the terrain as they take on flat surface first then after a few hundred meters, they run uphill which is around 30 degrees slanted and once they reach the top, they take on another flat surface again. The course is a combination of challenging tracks and easy surfaces. Since it is a residential zone, you will find lots of stores where you can buy water or some food to chomp on. The list as you can see is dominated by parks, malls, and residential areas. This clearly indicates the lack of jogging places like a public sports arena or field. But, the lack of sports arena is not a deterrent for people to jog. As a reminder, it is advised that you do your own share of responsibilities for successful jogging like stretching first, equip yourself with jogging gears and accessories, and learn some safety measures. I hope UP Mindanao, just like UP Diliman, gets to be a runner's paradise as well.